This statistic shows worldwide exports of corn from the United States between 2001 and 2018. 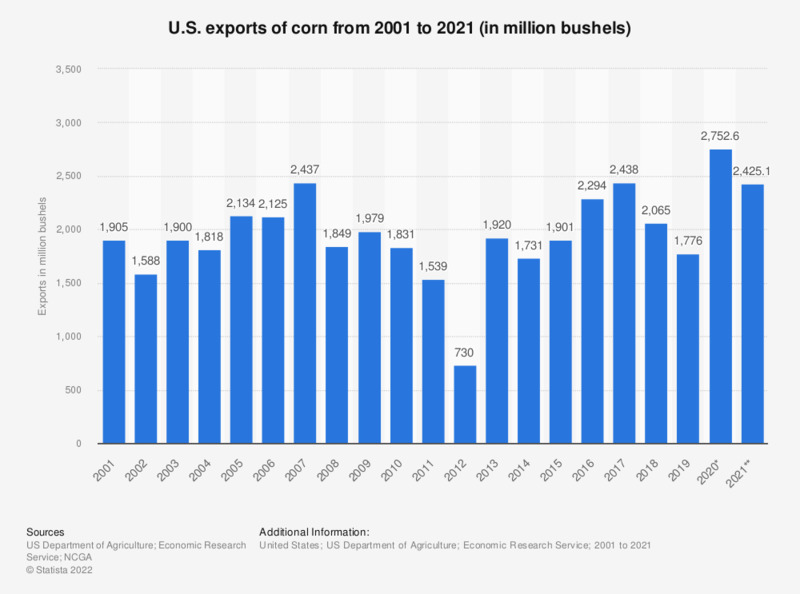 In 2001, exports of corn from the United States came to over 1.9 billion bushels. Six years later, in 2007, about 2.4 billion bushels of corn have been exported from the United States. The United States was the largest producer of corn worldwide in 2016. * Estimate as of February, 2019. Data for 2014 and former has been taken from various reports.